Dublin City Council’s Housing Officers have advised me that the following one bedroom apartment in Spencer Dock is now available under the Choice Based Lettings Scheme. 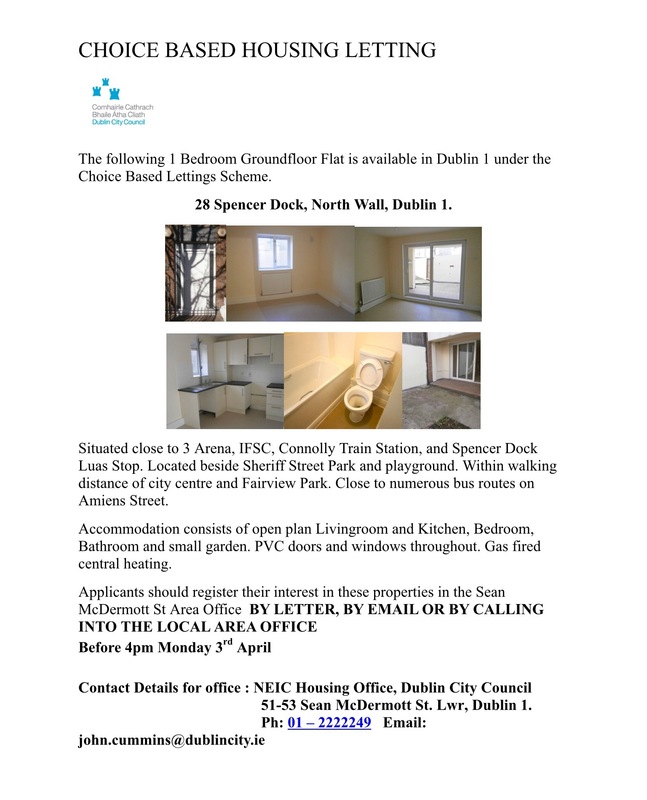 If you are interested in being considered for this apartment, make sure to contact the Sean McDermott Street Council Office before 4pm on Monday, April 3rd next. This entry was posted in Ballybough, City Centre, Dublin City Council, Fine Gael, Housing, North Strand, North Wall. Bookmark the permalink.